It’s that time of year again: National Prescription Drug Take-Back Day takes place this weekend. 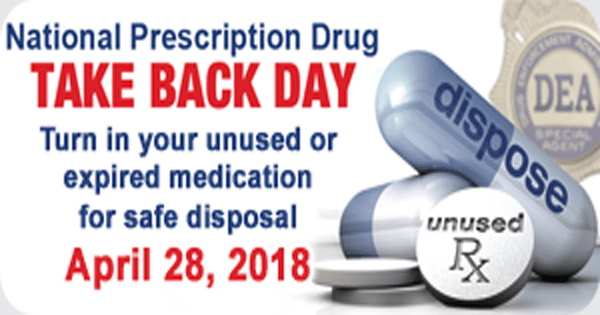 Gather up your unused drugs and on Saturday, April 28, 2018, bring them to the Orange CVS, 279 Boston Post Road, between 10 a.m. and 2 p.m. If you have any prescription or even over-the-counter medications around that you don’t need anymore, simply bring them to the CVS store parking lot and authorized helpers will direct you to drop them into the large boxes they have set up. Orange Police officers, working in conjunction with the DEA will take them off of your hands, no questions asked. You’ll leave knowing that your old medications will be properly disposed of, and won’t fall into the hands of anyone who shouldn’t have them. These helpers will not rummage through the boxes to look at or remove anything that has been deposited. At the end of the collection period, a DEA officer will take the collection containers to a site where all of the materials will be incinerated. The Orange Police Department is participating in “Drug Take Back Day” this Saturday, April 30 from 10 a.m. and 2 p.m. Officer Amarone will be at the CVS, 279 Boston Post Road along with members of the Orange CERT (Community Emergency Response Team) and Drug Enforcement Administration (D.E.A.) collecting unwanted prescription medications. Many teenagers and young people who abuse prescription drugs get them from family and friends or from their home medicine cabinets. Prescription drugs pose dangers to children and others who may take them by accident or who may use them for abusive purposes. Expired drugs may have lost their effectiveness and therefore no longer be a safe and adequate treatment for the conditions for which they were prescribed. In addition to concerns of potential poisoning, abuse or overdose, it also is important environmentally that medicines be disposed of in a proper manner rather than simply being thrown into garbage, flushed away or poured down drains, as they could contaminate water supplies and cause an environmental hazard. For the past three years the town of Orange has participated in Drug Take Back Day with great success. On Saturday, April 26, the Orange Police Department, in partnership with the Drug Enforcement Administration (D.E.A. ), has scheduled another one-day National Prescription Drug Take-Back Initiative from 10:00 a.m. to 2:00 p.m. This event will take place in the CVS parking lot, 279 Boston Post Road. This is free and anonymous, no questions asked. This is a great opportunity for those who missed the previous events, or who have subsequently accumulated unwanted or unused prescription drugs, to safely dispose of those medications. These take-back events highlight the problems related to prescription drug abuse, and give citizens an opportunity to contribute to the solution. This initiative addresses a vital public safety and public health issue. Unwanted, unused, or expired medications in our homes are highly susceptible to diversion, misuse, and abuse. Rates of prescription drug abuse in the U.S. are very high, as are the number of accidental poisonings and overdoses due to these drugs. Studies have shown that a majority of abused prescription drugs are obtained from family and friends, including from the home medicine cabinet. In addition, Americans are now advised that their usual methods for disposing of unused medicines, such as flushing them down the toilet or throwing them in the trash, can pose a potential safety and health hazard. The Orange Community Emergency Response Team (CERT) members will assist in the collection. Just bring your unwanted drugs in a box or bag and dump them into one of the large containers provided at the site. 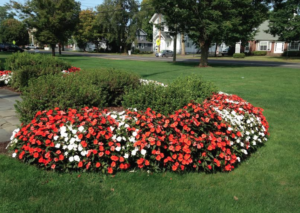 The DEA will bring all of Connecticut’s collected items to an undisclosed site and incinerate them. Drug take back is easy, drive up and drop off, no questions asked. Orange Community Emergency Response Team (CERT) members, police officer John Aquino and a member of the Drug Enforcement Administration (DEA) were on hand at Stop & Shop on Bull Hill Lane today from 10 a.m. until 2 p.m. for the annual Prescription Drug Take Back Day. Residents take this once-a-year opportunity to properly dispose of old and unused prescription medications instead of flushing them or throwing them away and risk having them fall into the wrong hands. Most participants arrived with a bottle or two, deposited them in the container, thanked the volunteers and left, but everyone was surprised when someone pulled up in a van and pulled out garbage bags full of medications that a deceased relative, who once was a pharmaceutical company rep, had left behind. The DEA gathers all the pills from every collection location and brings them to one place where they are incinerated, so they don’t cause any harm to the environment or individuals who may have taken them improperly. If you missed this event, the DEA will host another one next fall.